Archetypal symbols from any culture may appear in the dreams of any dreamer in any time or place. Dream symbols are universal, and the notion of the collective unconscious affirms this. The collective unconscious, a concept accepted in modern psychology, explains why symbols from distant cultures may invoke profound realizations in a dreamer. It is as if we know more than what we experience in one short lifetime. All people negotiate the same archetypes, and thus, archetypal symbols may appear in our dreams. Archetypes are the soul's framework for reality. An archetype is defined as the original pattern of an idea. It is like a prototype, and like an empty basket of a prototype that allows each individual to fill it up with personal information. Archetypes are also expressed in symbols, and each culture has a symbol for common archetypes like god, love, and other important concepts. For example, in many cultures, a simple drawing of a heart is a symbol for love. During our lifetime we gather material to fill in each archetype, and this is our reality. Mother is an archetype; our material for filling it in comes from experiences with our own mother, with other mothers we have known, from being mothers or fathers, and so on. Even our rediscovery of the ancient goddess in our own lives adds material to our archetypal image of mother. Collectively, as a society, we explore archetypes. One of the major archetypes of the twentieth century was travel and new frontiers. We still have frontiers to explore, such as inner space and cyberspace, but in the last hundred years the planet became smaller as we traveled and interacted more closely with our neighbors in distant lands. Another universal theme of the twentieth century was technology. Technology made us more comfortable, more productive, and more mobile. Until recently, most people thought all technology was good. Now we are changing this perspective, due to technology's effects on the environment. Psychology was another powerful archetype the Western world explored in the last century, because it helped us interpret how we felt about ourselves and how we treated each other. At the beginning of the century, Austrian doctor Sigmund Freud (1856-1939) invented psychoanalysis. He studied hypnotism, which was the common method used to treat hysterical patients, but found this inadequate. He noticed that sometimes patients felt better after talking about their problems. From this discovery, he formulated his practice of free association, in which the patient attempts to recall emotional episodes, thus recognizing and releasing emotions. Freud is regarded as one of the most influential men at the turn of the nineteenth century. Dr. Carl Gustav Jung (1875-1961), a Swiss analytical psychologist, traveled with Freud to America in 1909 to lecture and receive honorary degrees. The two men had a tremendous influence on each other for about four years. Jung enlarged Freud's notion of the unconscious to include what he called the collective unconscious, made up of universal elements of human experience, or archetypes. The Jungian archetypes are: the self (center of consciousness), the shadow (denied parts of the ego), the anima and animus (feminine image in a man's psyche; masculine image in a woman's psyche), and persona (the image a person presents to the world). According to Jung, humankind shares a common and inborn unconscious life. He believed that we are all connected in the collective unconscious through dreams, fantasies, shared experiences, cultural stories, and myth. In his clinical counseling practice, Jung noticed that his patients' emotional suffering always contained an element of the divine. This was the beginning of his transpersonal psychology. He believed that symbols were healing, and that his patients could find solutions to their problems through an inner connection. He believed symbols could unite the opposing elements of the psyche, to create reconciliation and wholeness, or divine union. Jung was enamored with new thought, Eastern philosophy, and alchemy. He was a leader of the new age at the turn of the last century, and probably coined the term "new age" to describe the climate in the early 1900s. Jung became an influential teacher, laying the groundwork for the science of psychology in the twentieth century. Depth psychology was one of Jung's most important contributions. He based it on the experience of the numinosum, a term he used to describe the experience of the divine. Originally coined by Rudolf Otto, a writer who had a great influence on Jung, the word is from the Latin root numen, meaning god, and verb nuere, literally to nod or beckon. Thus, the word describes an experience in which god reaches out to tell us of his presence. The numinosum may appear radiant, pure, and glorious, or it may appear with grisly, overpowering, and profane horror. The experience of dread evokes a transcendence, and a temporary loss of material ego, in which a person feels extremely insignificant in its presence. Otto called the element of overpoweringness the mysterium tremendum, mystery-tremendous; he called the feeling of humility "creature-consciousness." According to Otto, another element of this experience is its quality of "absolute overpoweringness," so that the creature in relation to it feels extremely small, or experiences religious humility (p. 12). It is typical for the numinosum to present itself in a manner that is directly relevant to the developmental history of the experiencer" (p. 6). The numinosum manifests for the healing of the individual. It may be difficult to look at the symbol, since it may symbolize one's deepest fears and inadequacies. It takes emotional strength to integrate an experience of absolute overpoweringness. Things can also go awry. Carl Jung himself said, "Sometimes the divine asks too much." A qualified psychotherapist can amplify the symbols, help the patient realize the deeper meaning they may hold, and learn how to apply the realizations in a positive way. Hence, we need schools like Pacifica Graduate Institute, and researchers like Dr. Corbett. The testimony of successful mystics and that of the consulting room suggests that contact with the numinosum may have an integrating effect which improves the overall cohesion of the self and consolidates and deepens one's sense of identity. But the problem with such contact is that it often challenges the very ideas about ourselves and the world which we have used to ward off anxiety and enhance self-esteem. Hence, numinous experiences may generate fear, which in the presence of a fragile self can be massive enough to require defensive maneuvers or precipitate psychosis. This is so because numinous experience is precisely relevant to our pathology, our self-object [developmental] needs, and our areas of woundedness. These are just the places that the archetype tries to enter the personality for the purposes of restructuring and healing (p. 30). These and similarly painful areas are the effects of negative complexes, and they, too, have their archetypal, or spiritual, cores. To attend to them is no less a spiritual practice than to attend to the positive aspects of the numinosum (p. 37). The numinosum does not necessarily respect our view of the world, but rather tends to present us with the need for radical reevaluation of our beliefs (p. 33). Often, the numinosum beckons change in a way that causes an individual great anxiety. In a dogmatic person, this can wreck havoc in the psyche until the new ideas are integrated, and the change is complete. The ego may put up quite a resistance. During a period of resistance to the inner calling of the numinosum, an individual may experience nightmares and compelling dreams that are impossible to understand. 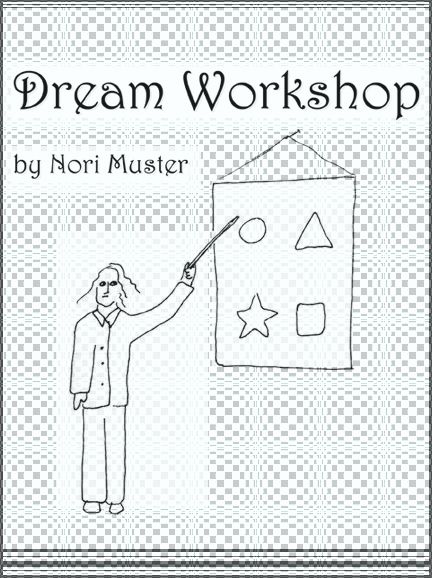 These dreams have a message, but sometimes it takes a psychologist on the level of Carl Jung to interpret. One solution is to write them down and read them over weeks or months later, when resistance has gone away. This explains why dreams make more sense to us years after they are dreamed. When the meaning of a dream is finally determined, look back for the resistance, too. Whenever you try to interpret your dreams, be gentle with yourself, because dreams come in peace from the deepest levels of your self.